I love church creatives and techs, and I truly hope that you take this question to heart. What do you struggle with? How would you advise someone who is WAY over-worked in the church-world? Chime in! Let’s help each other on this. Scenario: You found a church media/technical job posting at a church in another city/state that sounds like a good fit for you. You applied, got a response, and went to interview. Things seem to be going very well and an offer could come any day now. Taking this job would mean uprooting you/your family; What should you be doing? PRAY – Stop being surprised that this is the first step again. I cannot stress enough how important it is for you to be seeking God like crazy. You have to rely on Him infinitely more than your resumé and a DISC test result. Where would your kids go to school? What’s the cost of living in this city (and how might this affect your salary requirements)? Is this a community (not just the church) where you can see yourself and family getting involved? QUESTIONS – As you pray and discuss things with your spouse and family, keep a detailed list of things that would need to be discussed with the church people. I recommend a real “no holds barred” approach. Even if the questions seem odd, ask them. Side note: Be very weary of a church staff that avoids follow up questions. Trust your gut. Take note if it seems like they are stand-offish. These are the small things that could make a big difference after your family is moved and settled. KEEP YOUR EMOTIONS IN CHECK – Being actively recruited is cool and I know all too well how exciting it can be when you feel like you’ve found the perfect fit, but don’t get so caught up in the emotional side of things that you miss some of the details that could effect your final decision. Ask your spouse to keep you accountable on this and don’t be offended if you’re ever called on it. Relocating your family for any job is stressful. Things can be compounded all the more when a church thing is involved. My motivation behind these posts is a desire to help media/technical candidates AND churches make better decisions when it comes to hiring. I have networked with current and former church media people all over the country and have heard all too familiar stories about misinformation, hasty decisions, and job situations that just never worked out. Rather than just rattle on about this topic, I would also like to add that I am available to help you work through things. Don’t hesitate to drop me a line with your own concerns and questions about a job you’re considering, or even a rough situation that is now behind you. My email address is: murphy24p (at] gmail dot com. I look forward to hearing your story. Hello, readers… I know it has been a while since I posted ANYthing. Let’s not make this awkward, I’ll just get to what’s on my mind today. Almost every Monday that I can remember for many years, I have received an email from churchstaffing.com with the latest church media/creative/technical job opportunities. Early on, as well as a couple of times since, it was a great resource for finding new jobs. These days, I remain subscribed to the emails, but now it’s more about curiosity; It never fails to amaze me how churches will package their media/production needs into job posts and the titles they give these jobs. 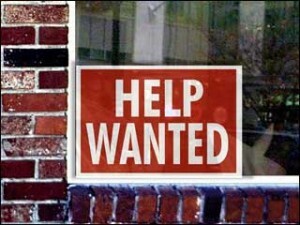 After working for three different churches, I look at these job posts much differently than I did years ago. I realize now that when I was actively looking for a job, I was really just looking for a few buzz words that pertained to my particular set of skills. I figured if I could just get an interview that I could play-up what I excelled at, show potential in areas in where I could learn and grow, and we could work out the rest of the details when a job offer was made. I know now that this was pretty short sighted. If I were to interview for a church job today, I would ask A LOT more questions about many more topics than just the job itself. Here are a few pointers on navigating the job search and interview process. Pray. Duh. Don’t ever go about looking for a job within the church without seeking God… perhaps like you never have before. Read the WHOLE job post. And then, read it again. And then again. The details are necessary. All of them. Look at what the ad says AND what it doesn’t say. When you find a lack of information in the post or the full job description itself, make sure that those items become good questions if things move forward. It is generally understood that the interviewee is on the hot seat in these situations; most people fail to realize that you are interviewing them too. They will have their questions, you should have plenty to ask them as well. Research the church. You can usually find out most of what you need to get started by visiting the church’s website. Look through it thoroughly. Watch a few previous services on video. See what they post about in various social media platforms. A look into these areas will tell you what is most important to any organization. No matter how good a job posting may look, you need to know if you can fit into the church culture. New position or replacement? This is a big deal either way. If the position is a new job classification for a church, you would be coming in to a very unique situation and you should weigh ALL of the pros and cons and ask a lot of questions about what would be expected of you. Similarly, in a situation where you would be replacing someone, you need to ask very detailed questions about the job. While a church is not likely to tell you all of the details of your predecessor’s departure, you still have a responsibility to yourself to get an understanding of the dynamics of what you could be walking into. Job vs. Calling. This post is specifically for those who are looking to enter church work in the area(s) of technical production and/or media creation. I have found that these types of positions are often viewed as jobs and not callings. Aren’t they the same? In my opinion, no. I believe that any job classification at a church is ministry, even if your work is primarily behind the scenes. You are not just a monkey pushing buttons; this is a calling… and one that shouldn’t be entered into lightly by the church or the candidate. Be very weary of a job that centers so much on the tasks and not the holistic picture of ministry. Be sure to ask about what kinds of ways that you, as a staff member, will be encouraged and built up spiritually as well as opportunities to learn more about your craft. Ask yourself good questions. Can i work there? Can I sit under the pastor’s teaching? Is it worth packing up my family and moving for this job? Dialog with yourself and with your spouse is critical. Don’t ever get so caught up in the emotions of what may seem like your dream job and leave out the details that would get you there. Now, you couple this list with a visit to the church’s website where you will discover that this is a church with traditional and contemporary services; this means that this person would have all of the duties listed above in what amounts to two different congregations. Also, notice how far down the list you have to go before you hit “Follower of Jesus”. Do the math. While I am not a Human Resources expert, I would access that this single job posting would be better covered by no less than three different people. Simply put: This is an incredibly unrealistic hire. I actually printed out the post to keep because I couldn’t quite believe all that they were asking for. My guess is that even if they could find someone to take on this daunting request, they would be looking for a replacement inside of two years. This person will burn out and his/her marriage and kids will pay a big price. Churches have creative and technical needs but don’t often have big budgets; I understand that. But that doesn’t mean that you have to take a vow of poverty (in salary AND time) to work there. This is not all that needs to be said on this topic and I may address it again in the future. My hope is to help potential candidates really think through the process and make good decisions. Anything you would add to this list? 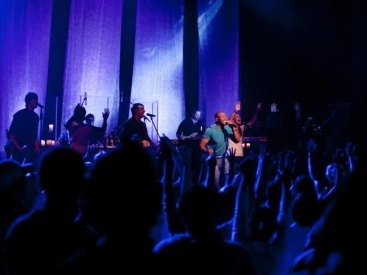 Dear Church, Can We Please Stop Calling it an “Experience”? While I have no way of going back to discover when church services began being called “experiences”, I can start a lobby suggesting that we stop calling them experiences. The more that I’ve thought about this the more I am convinced that we are incapable of creating an experience for one simple reason: Experiences are far too subjective for anyone to take credit for manufacturing them. You and I could go on a roller coaster together and have completely different experiences. We could sit and watch the same movie and have different experiences. We could witness the same car accident and yet give differing reports to a police officer. For good or for bad, we all experience things differently. Why would our time together in a church service not fit that category? I think we are in great danger of missing something when we can boil our services down to a compiled list of things that we hope will elicit a response from those in attendance, as if we can contrive that response on our own. I believe that these people aren’t looking for just another experience, they are hurting, broken, and looking for an encounter with something bigger than themselves… something tangible that offers them some hope for all that they are dealing with. If we’re doing nothing more than sawing through a linear pile of songs, sermons and other elements, supposing that we can make people feel or react a certain way, we are missing the real awe and wonder that God offers. We can program the service elements, but not the response. We can, however, intentionally build atmospheres and environments where people can encounter God at their own pace and in their own way, unforced. We cannot assume that everyone showing up is just going to play along with whatever we’ve drawn up. Our time in church can be a thrill ride. It can be uniquely inspiring and entertaining. It can be gut wrenching. It can be whatever God wants it to be. We should be incredibly prayerful and intentional about what we plan, program, and execute, but we should always leave margin for people to flow in and out of them. I’m always up for discussion on topics like this; drop your thoughts in the comments and let’s keep the conversation going. This Easter was a little odd for me in that it’s the first time in 8 years that I wasn’t working for a church. I was, however, keeping an eye on social media and watching what was being posted in the way of video for Good Friday and Easter services. Here are a few that I found particularly amazing. I hope that they inspire others to produce some great pieces for next year. What I love about each of these pieces is such wonderful differences in conveying the Gospel message as well as what great media can come from teams large and small. A good, well executed plan can make for such wonderfully engaging video. Did you produce something for your church’s Easter or Good Friday services? Post a link in the comments so others can can see. I like church video announcements because I see them as a great way to communicate things in a way that someone standing at a podium reading the bulletin can’t. I hate church video announcements because they are often viewed or esteemed to be doing something that they’re incapable of doing. Not to mention that they seem to have become the equivalent of 1990s church bulletin clip-art; every church seems to be doing them and not very well. You have to have a real strategy. You can’t just take everything from the bulletin and make it a video thing. Map out what is really deserving of the real estate that is available. If doing video announcements is a goal for your church, start figuring out your strategy long before you start producing them. Not just the WHAT, but the WHY. If all you do is spew dates and times, people won’t remember or act on anything. Give them reasons to get involved by telling why the church is offering or doing something. There is a cost. Just because you have someone on staff putting the video together doesn’t mean that it’s free. It takes time to arrange the shoot, schedule the ‘talent’, shoot the segments, edit (and often re-dit), render and export the video… Don’t ever underestimate the value of these tasks. Go all the way. If all you do is move that same dry, talking-head from the podium to a video screen, what have you really gained? Make things more appealing by being more visual. Don’t just talk about the up coming mission trip, show some pictures or video from the last one. Video vs. Human. This seems to be something that very few churches think about; even if you do video announcements, some things are going to be received much better when they come from a real human on stage. For example, don’t waste valuable video-time each week by doing the same visitor card instructions. Leave this to a pastor or other staff who is standing in front of these people and can make a visitor feel much more welcome and at ease than a video screen ever will. Know your audience. Will each segment of the announcements affect a majority of the people in the seats? If not, then it’s likely not worth the real estate. I was once asked to do an announcement that would have affected a segment, of a segment, of a segment (literally) of people that would be in attendance. After pointing that out to the requestor, he understood why other things would have a higher priority. Go dark. We’re talking about video announcements, no one will die if they don’t happen every once in a while. Nothing will frustrate a video guy more than having to manufacture a 3 minute video about nothing. In the life of every church, there are some slower times, and that’s OK. When VAs are a part of the regular diet, people will tune them out. If you don’t have 2-3 items worth really talking about, go without. Go beyond the calendar. Don’t always make them about calendar items; Shoot some video of your big events and then take some time in the VAs with a highlight package to celebrate something that the church has just done or accomplished. So, I’m curious… If your church does video announcements, why do you do them? Has the “why” ever been established? Chime in! Whether you realize it or not, you are a worship leader. But, I have no musical ability and I don’t even sing in the shower for fear that some one might accidentally hear me and claw their ears off so that they never have to hear me again! Your instrument is a switcher and your song is a clear and passionate voice to your camera operators, lyrics operator, and anyone else on the line while you direct. And you share the same environment as the guys with guitars and microphones. While you may have been hired based on your technical abilities, you are now a part of helping to build atmospheres and environments where people come to encounter the power and presence of a Holy God. Learn to lean into that. Go into any service with the mindset that your contribution should virtually disappear as it blends with great lighting, sound and gifted musicians and singers. Every cut or dissolve should enhance the feel of the room. Know when to hit the gas to help build energy, but also know when to go very subtle so as not to distract from a quiet moment. Have a good knowledge of the music – musical solos shouldn’t surprise you. Show more singers when there is singing and more instruments when there are solos or musical breaks. Be proactive – be constantly aware of what’s coming next so that your team is prepared for it and not chasing things as (or after) they happen. Be vocal – people can’t read your mind; ask for things clearly and thank your people constantly. Your words are powerful. Master the transitions – how you navigate through the moments between the big pieces can be such a great help to the smooth flow of the service. Remind everyone on your team regularly that even though their roles happen behind the scenes, their contributions are visible out in the open where everyone can see. Seek excellence and invisibility. Be the calming voice when things get chaotic – even when your team is completely prepared, things can go wrong. Always be at the ready to keep things calm and in order as solutions are sought. Your “credit” will often be silence – your main goal should be that no one in attendance even recognized the balance between stage and screen. Be content with knowing you and your team did your best. Don’t ever minimize your work into anything less than important. You play a vital part in the success of any service or special event. Do all that you can to help lead your congregation into meaningful times of worship.